One of the fundamental guiding principles behind TTS, except when otherwise EXPLICITLY stated, is that we write about cars that we’d like to own and/or drive. The E24 BMW 635CSi is one of those cars for the whole team. From the gorgeous Paul Bracq “ship’s prow” styling to the torquey “big six” M30 motor to the driver-oriented dash and sports interior, these cars were the dream BMW coupes of our generation. Heck, even Bruce Willis drove one! 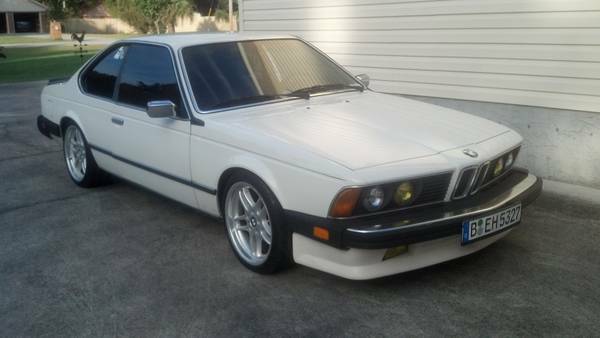 These days, however, clean E24s are getting nearly impossible to find, which is what makes this nice example for sale here on Craigslist in Savannah, Georgia for just $6,500 so appealing.